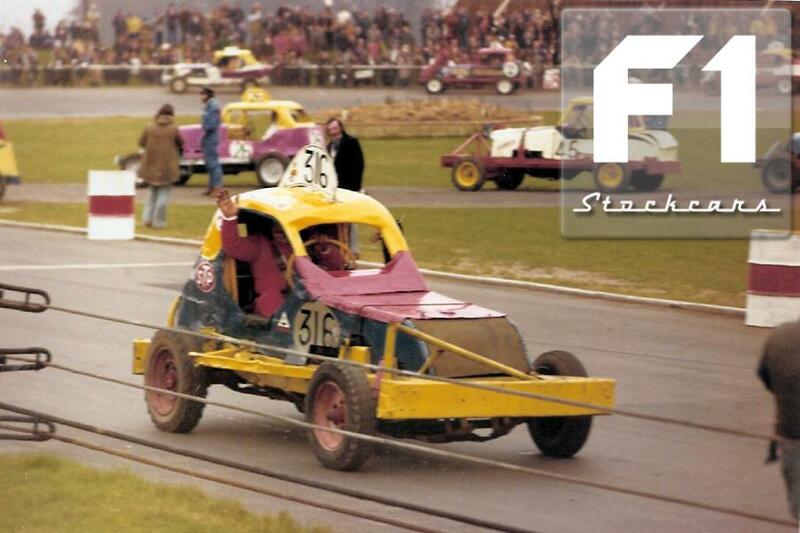 After visiting the the South, birthplace of Stock car racing last week, we move onto the hub of stock car racing in the present era, the Midlands. The area has always had a strong driver and supporter base and presently plays host to over half of the F1 meetings. 1. 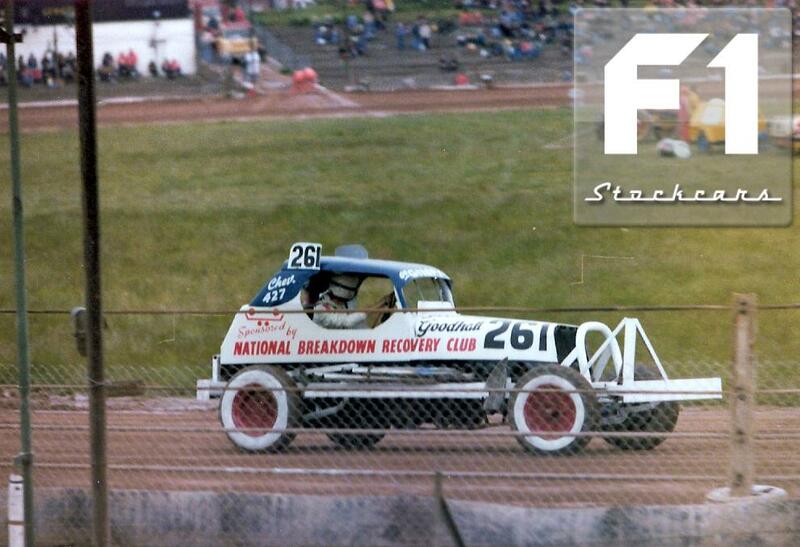 Mick Noden (306), one of the Superstars of Midlands racing. Noden was in his element of the rougher tracks like Long Eaton, but was also a race winner of tarmac at Cadwell Park and Northampton. He boycotted the 1973 World final at Harringay, he had raced there earlier in the year but hit a water filled barrel (which were banned) and damaged his engine, he vowed not to race at the track again, and despite qualifying on the pole for the World final he stayed true to his word. 2. 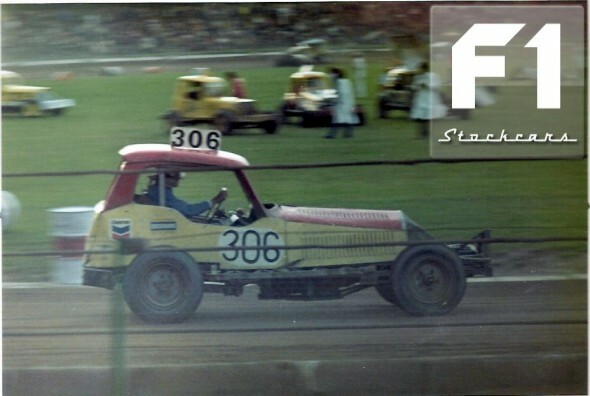 Roy Goodman (163) is probably better know for his exploits in F2 (800), a formula in which he won the first ever World Final. However, he was also an accomplished F1 driver. He is seen here in an ex Roger Hollingshead (344) car. When Roy moved from Lutterworth down to Devon to promote at the newly opened Smeatharpe Stadium in the early 1970s he gradually withdrew from F1s to concentrate on F2s. He only recently retired and was given a fitting send off by Autospeed, the current promoters at Smeatharpe. 3. 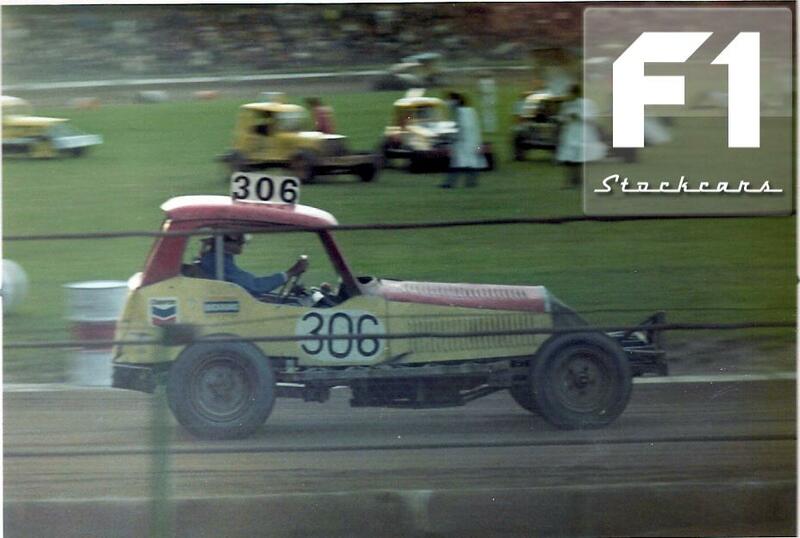 Castle Donington’s Denis Irvine (363) in the famous Copper Kettle machine at Northampton in 1971. 4. Brian Powles (154) shot to red grade in an ex Mick O’Hara (372) car that was built by Mick Sheppard (359). Powles broke his arm in this machine and retired from the sport for a while before making a comeback in a self built machine. 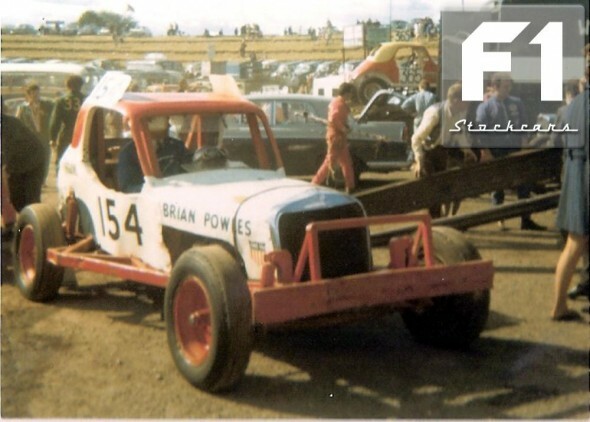 Powles also started an engine building business and provided power for many of the sports top drivers. 5. 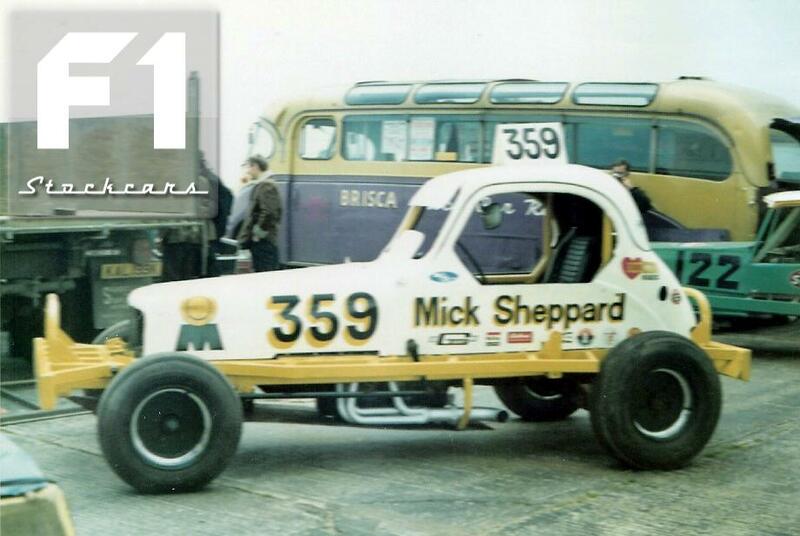 Another Mick Sheppard (359) built car, this time driven by the Mansfield based driver himself. Mick’s cars were always well turned out. 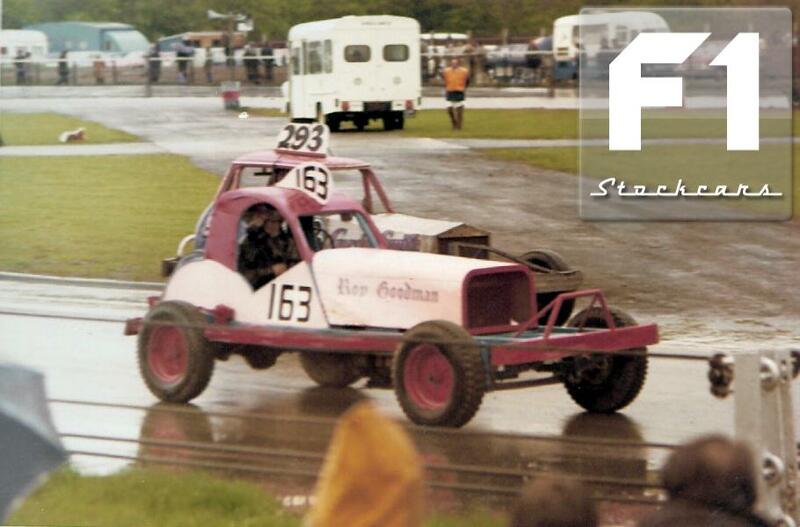 This one went on to be one of the many cars driven by Jim Potter (146). 6. 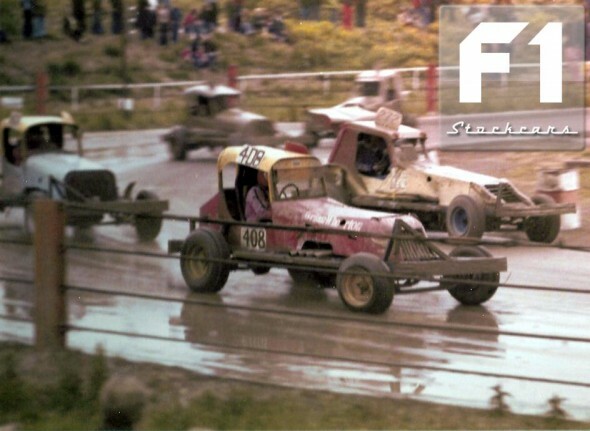 The Pershore Giant, Ron “Skid” Skinner (316) in the ex Albert Griffin (178) / Stuart Smith (391) car. 7. 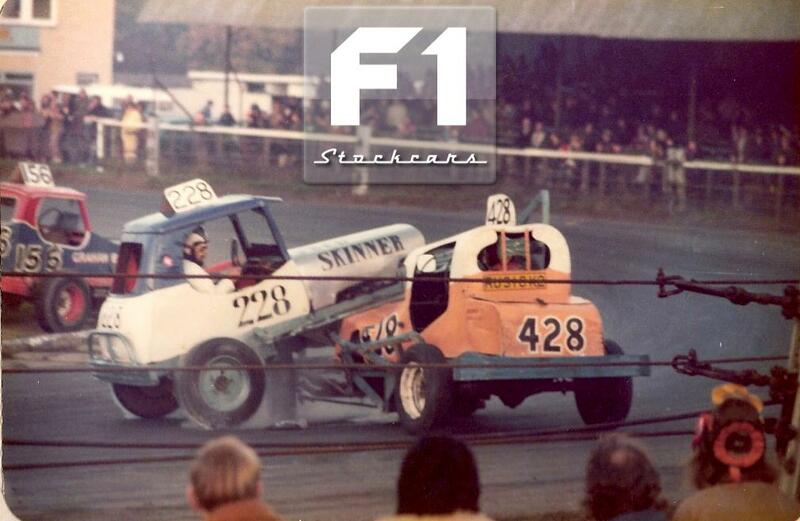 Cousin Fred “The Red” Skinner (228) tangles with Hinckley’s Pete Doran (428) at Northampton. 8. Stony Stanton’s Johnny Goodhall (261) was one of the spots great characters. He is seen here at Leicester with his overall sleeves typically rolled up. 9. 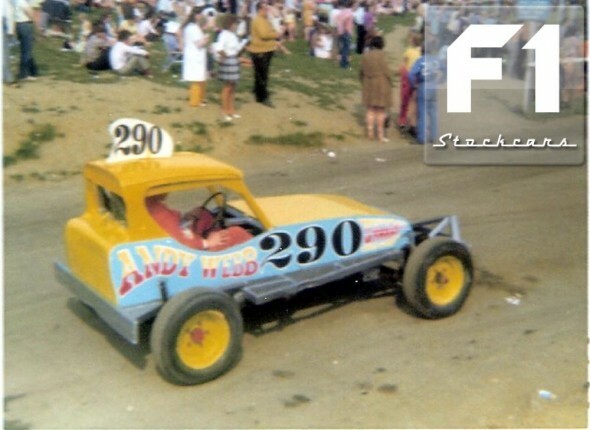 Andy Webb (290) from Daventry began racing in F1s under number 290, he had a short break and returned in the late 70s with the more familiar 247 number. 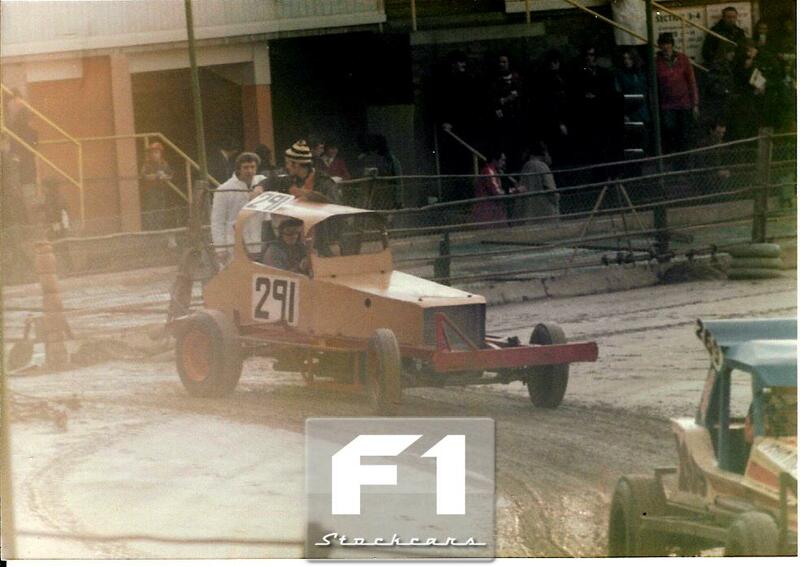 Andy was also the f2 world champion. 10. 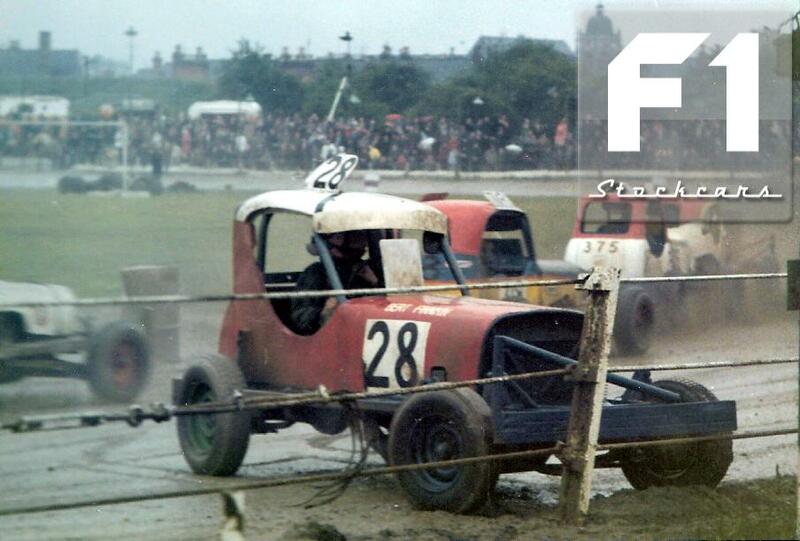 Bert Finnikin (28) began his racing career as number 28, he is seen here in one of his first meetings at Long Eaton finding the Station Road fence. Bert would go on to win every major title in F1s and his son Craig (55) is the current Nation Series Champion. 11. Richard Squire (371) tangles with the infamous Brafield fence. 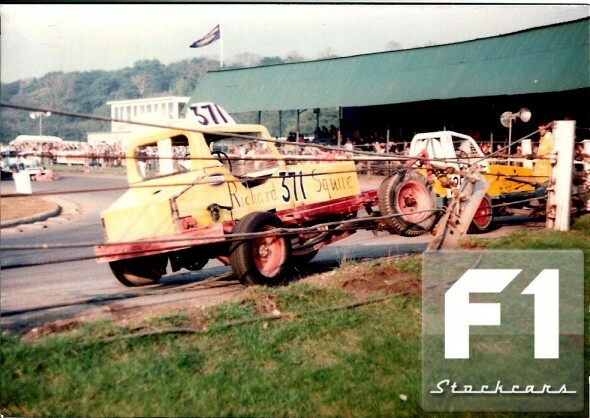 The Squire family was a driving force behind the Stock car Supporter magazine which began publication in the late 1960s, amazingly the magazine was banned from many Brisca tracks, but older race fans will remember Ann and Roger Squire came up with some inventive ways of selling the mag at the circuits.The Supporter magazine could well be one of the first fanzines seen in the UK, pre-dating Soccer fanzines by several years. 12. Robert Squire (291) enters the arena at Coventry. Robert has recently built a couple of excellent replica cars of Tony Neal (100) and Dave Chisholm (252). Robert’s son Dan is the current holder of the number 291. 13. 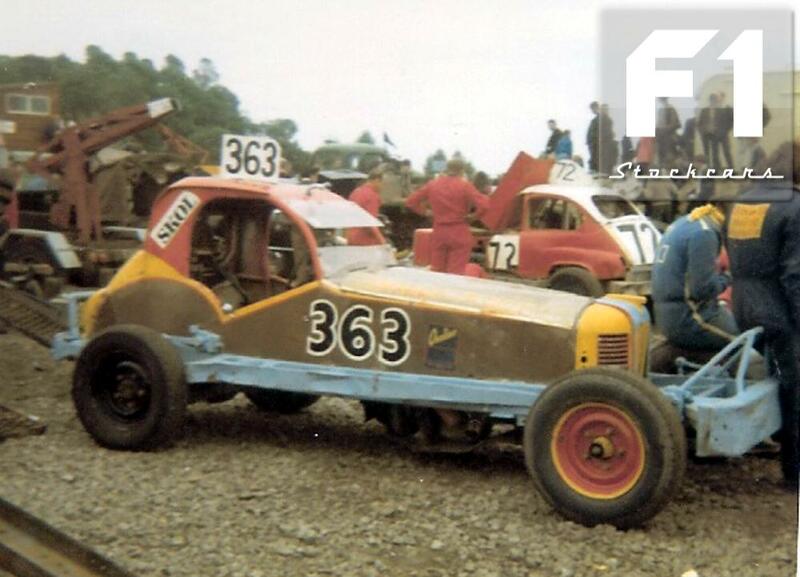 Brian Whorton (408) travelled far and wide and was often seen racing at places such as Aycliffe. 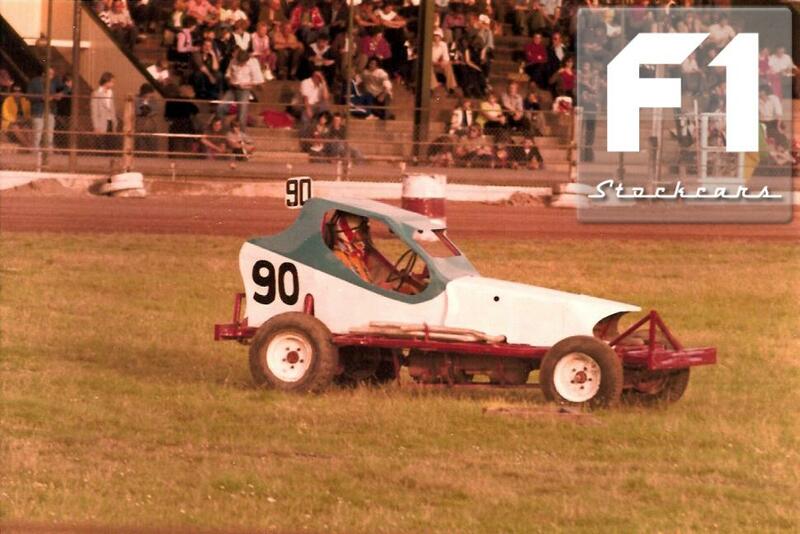 he is seen here at Skegness in the circa 1978. 14. 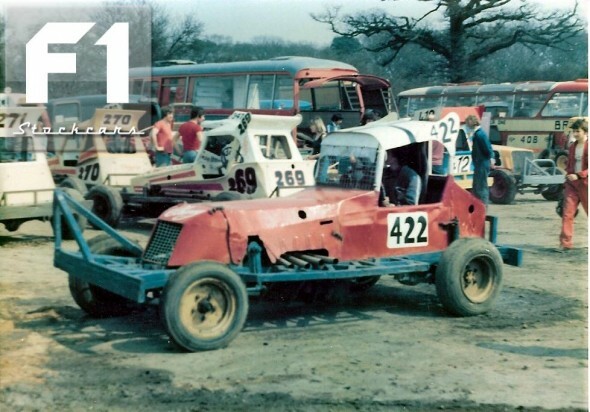 Nigel Whorton’s (422) first machine, This car didn’t last long and a new Clive Lintern machine saw Nigel quickly move up the grades. Always a top runner, Nigel won the British championship in 1986. 15. Bryan Warner (90) from Fillongly lines up at Leicester. Bryan’s son Lee (290) currently makes the long trek from Wales to race an F1. 16. Two Midlanders tangle at Northampton. 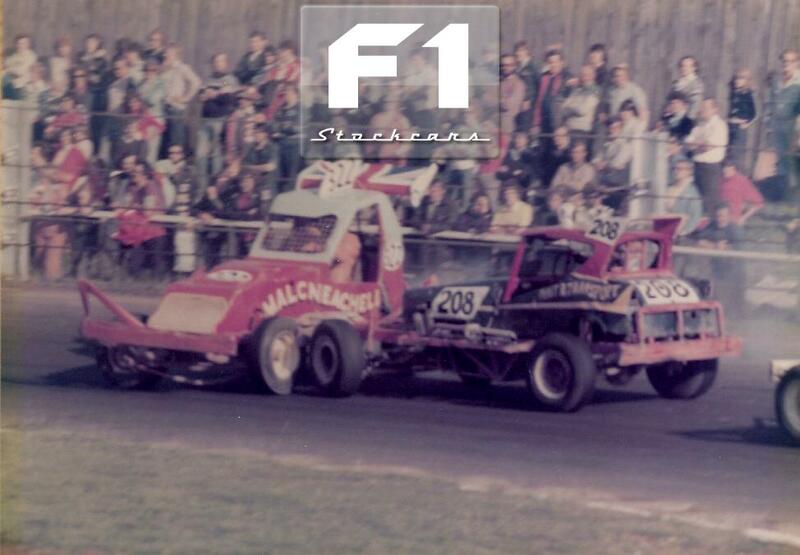 Malc Neachell (322) and Hoss Ferninhough (208) were among the top drivers in the Midlands area during the late 70s. See Part 1 HERE, Part 2 HERE, Part 3 HERE, Part 4 HERE, Part 5 HERE, Part 6 HERE and Part 8 HERE.